Photo of the Week. 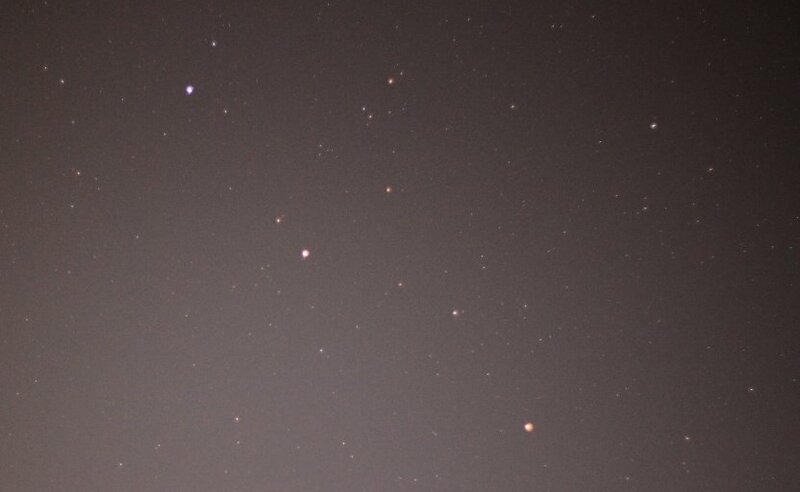 Mars, lower right, as it passed through Gemini last September 12, orange Pollux (just left of center and about the same color as Mars) and fainter Castor (upper left) nearly pointing downward at it. The planet is now in Cancer, one zodiacal constellation to the east. Astronomy news for the week starting Friday, September 30, 2011. 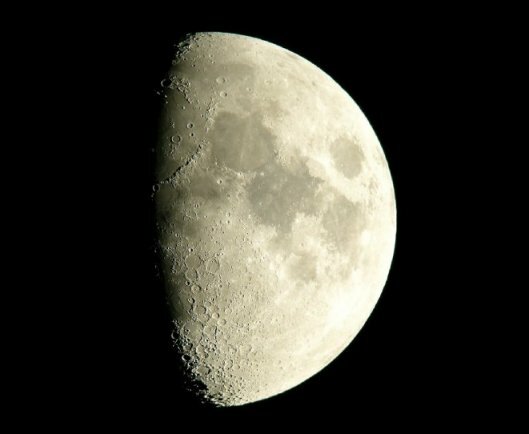 We begin with the Moon in the middle of its waxing crescent phase, which is terminated by the passage of first quarter on Monday, October 3, in mid-evening, allowing us to see the phase in its near-perfect state. 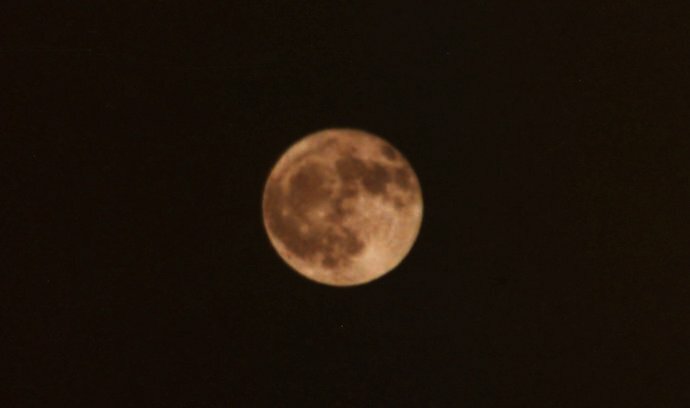 Our companion then becomes a waxing gibbous as it heads toward full Moon next week, the night of Tuesday the 11th. With the Sun just having passed the autumnal equinox in Virgo, this first quarter will be just past the winter solstice, situating itself low in the sky nicely in Sagittarius just north of the Little Milk Dipper. The waxing gibbous then takes off for the dim stars of Capricornus. The week's big event involves Mars. Rising now shortly before 2 AM Daylight Time, situated against the stars of Cancer, for the past week it's been approaching the Beehive cluster, which to the naked eye appears as a dim fuzzy patch but to binoculars breaks into a fine spray of stars. The night of Friday, September 30th, actually the morning of Saturday, October 1, the red planet will appear to pass right through it. The event, which is best seen in binoculars, will provide a fine opportunity to see a planet move against the background as it orbits the Sun. And will provide a most attractive sight as well, with great Leo following to the east. While Mars is a morning delight that is shared with Jupiter, the giant planet exclusively rules the evening. Rising now before 8 PM just before the end of twilight, Jupiter transits the meridian high to the south less than an hour after Mars rises. 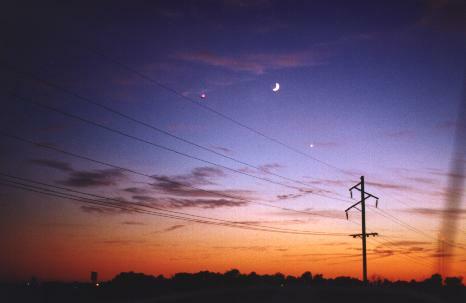 The only other planetary event, such as it is, is the passage of Venus three degrees to the north of Virgo's Spica on the night of Monday the 3rd, the pairing lost to bright evening twilight. Mars helps us locate the zodiacal constellation Cancer, the Crab, its most important feature a box of stars that surrounds the Beehive. Jupiter then helps locate Aries, the Ram, which held the Vernal Equinox in classical times. (That it no longer does is due to precession, the 26,000-year wobble in the Earth's axis, the equinox now in Pisces.) Look a few degrees to the north (and a bit west) of the planet to find a flat triangle of stars that hardly resembles the animal it is supposed to be (the constellations representing, not portraying). To the north of Aries then note simple Triangulum, which really is just a Triangle of stars.